The Greenwood Library offers access to several online streaming video services. As with most of our databases, access is available both on- and off-campus to Longwood students, faculty and staff. Community users may access the videos in the library. A collection of digitized PBS videos that were purchased by the VIVA consortium. More information is provided below. Streaming video titles that Greenwood Library purchased individually, not part of a collection. Kanopy provides a collection with over 26,000 films from 800 producers, including Criterion Collection, New Day Films, California Newsreel, Kino Lorber, PBS, First Run Features, Media Education Foundation, The Great Courses, and many more. Provides more than 5,000 streaming video and searchable transcripts of documentaries from Biography, The History Channel, A&E, PBS, Bullfrog Films and more, as well as United News and Universal newsreels. Learn360 is included in Films on Demand. Provides streaming videos from the Films for the Humanities & Sciences, Cambridge Educational, PBS, National Geographic, and many others and includes a comprehensive coverage of major fields of knowledge, including support for the K-12 curriculum. Clips and images may be used by Longwood University students and faculty for classroom presentation and educational purposes. 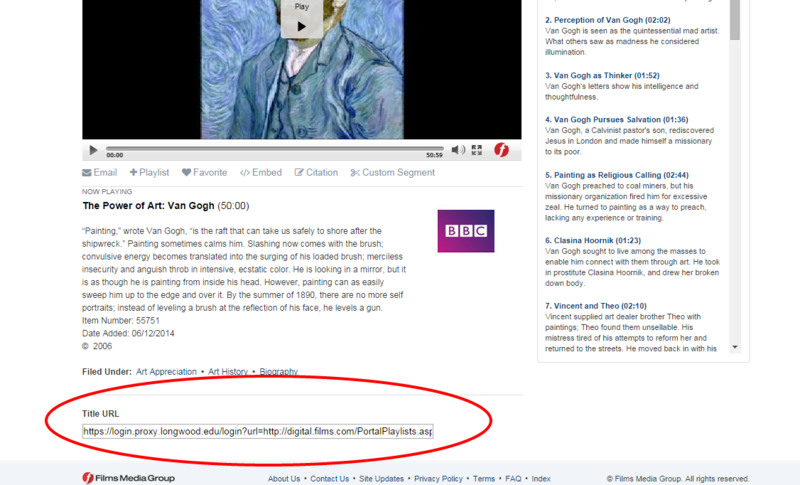 Films on Demand allows users to link to and embed video into their course space. However, embedded video has some conflicts with our proxy server, so off-campus students will need to have the direct link in order to play the video. To get the link, find the video or clip you wish from the database and scroll to the bottom of the page. Select the URL and place that link in Canvas. The Greenwood Library hosts a collection of 498 digitized PBS videos that were purchased by the VIVA consortium for use by academic libraries in the Commonwealth of Virginia. 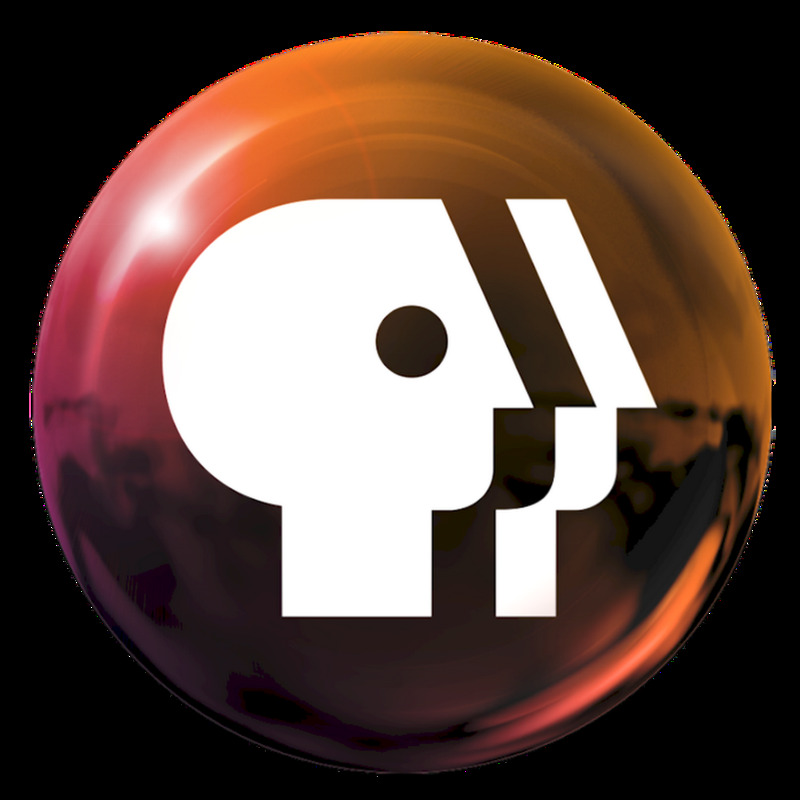 Two-thirds of the PBS documentaries in the collection were produced in 2000 or later. All of the videos are available through the Library’s online catalog. Can I link to a video or a portion of a video? Yes, Longwood faculty, staff, and students may provide direct links to a video by using the “Link to Video” feature when viewing a video. It is possible to create a custom link for a specific clip or segment of a video by entering the start and end times for that portion of the video. A valid Longwood login will still be required to view videos or clips accessed from links that are posted online. Can I download a video to show in my class or post in Canvas? No, it is not possible to download any of the videos. Our license only allows online viewing. If you want to show a video or a portion of a video in a class, you must project the streaming video page to the class. The Full-screen feature (in the player’s control bar) can be used to make the video more viewable. If you want to create an assignment around a video or a portion of a video, post a video or custom clip link in Canvas along with your assignment. How can I see the PBS companion web site for a video? Many of the library catalog records include a “More information on this video” link that will take you to the PBS companion web site, which often has transcripts and other information about the topic. Who can help me if I have questions about the videos? If you have questions about viewing or using the PBS streaming videos, please ask a librarian for assistance.